But the fourth element might cause some people pause. 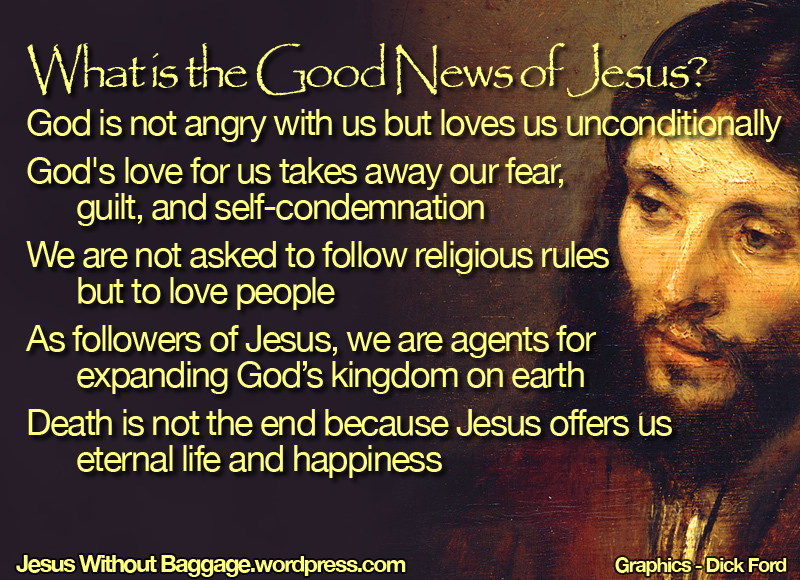 Following Jesus and his Good News also requires considerable commitment. First, those who follow Jesus are expected to love people. This is a growth process, but believers should commit to it. Secondly, in following Jesus we commit to help expand God’s kingdom in its goal of peace, justice, and reconciliation over the whole earth; the kingdom expands through us. 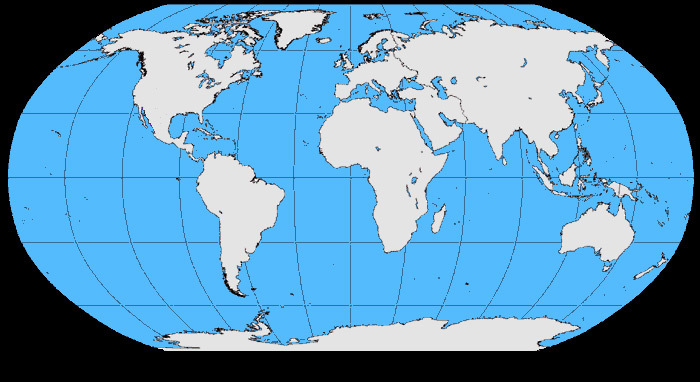 Kingdoms seem rather old fashioned today as fewer countries have functioning kings and those that do are considered relics. So perhaps a better way to think of the kingdom of God is as a community—a worldwide community of believers dedicated to bringing God’s will on earth. You can think of it as the Father’s community. Remember the prayer Jesus taught us? Believers are members of the Father’s community, which includes people of every nation. Jesus made clear that this is not a political kingdom; in fact it is not a visible kingdom. It is not identical to what we historically call ‘Christendom’; neither is it the same as the church, though many in the churches are part of the kingdom. The kingdom of God is among us—it is not an institution and never can be. Growth of the kingdom is based on the activity of its members who are committed to bringing God’s will of peace, justice, and reconciliation on earth. As believers, the kingdom of God is where our ultimate allegiance now lies. While we should be model citizens of our various countries, we must remember that Jesus is Lord and Caesar (government) isn’t. Our interests do not always align with national interests, and when interests of the kingdom and our country conflict—the kingdom must have our highest allegiance. The Jews of Jesus’ day expected a messianic, political ‘Kingdom of God’, but Jesus redefined the Jewish concept of God’s kingdom. Of course this was confusing to people who had preconceived notions, so Jesus sometimes described the kingdom in parables. Several of them are found together in Matthew 13. The kingdom of heaven is like a mustard seed, which a man took and planted in his field. Though it is the smallest of all seeds, yet when it grows, it is the largest of garden plants and becomes a tree, so that the birds come and perch in its branches. Rather than being a powerful political presence, the kingdom of God begins insignificantly—almost imperceptibly; but it grows! Eventually, it become a home for many. The yeast introduced into the dough invisibly changed its entire character, just as the kingdom works itself throughout the world and changes it without attracting a lot of attention. This speaks to the great value of God’s kingdom, which is not apparent to everyone. When a person discovers and recognizes the value of the kingdom, they do whatever is necessary to acquire the benefits for themselves. We do the same, and it is not a casual commitment. How Do We Go about Expanding God’s Kingdom on Earth? Once we commit to expanding God’s kingdom on earth, how do we go about doing that? There are many ways, I’m sure, but I will mention four important ones. We discussed the first two points in our post on genuinely loving others, so I will talk about the third and fourth points. If we genuinely love people, we cannot stand by and do nothing about hunger, alienation, and injustice. There is no list of rules on how to do this, but as each of us responds out of love and concern to make a positive difference in the lives of others we do so within our ability and according to our opportunities. Our response might be to give money to organizations that are dealing effectively with hunger, alienation, or injustice. We might become advocates and participants in such causes. Others of us might take an even more personal role in helping meet the needs of people close around us. But we cannot stand by and do nothing. This is a commitment in being part of the kingdom of God; but our effort arises, not from legalistic obedience to a directive, but from the love and care that grows in us for other people. We should also share the Good News—it is very selfish to keep such a treasure to ourselves. However, many believers are very dedicated to sharing the good news but do so in a counter-productive way by telling people how sinful they are and badgering them to accept Jesus. People know they are flawed; that is why what we offer is called ‘Good News’—it meets a need they already have. But a better way of sharing the Good News with them is not by forceful confrontation but by developing relationships. If we have a positive relationship with someone, questions will naturally come up regarding needs for love, meaning, healing, and reconciliation; and because of our relationship we are able to share the Good News as it most applies to their need. There is no particular hurry; spiritual growth is gradual, and if we are pushy and premature we might even push them away. The kingdom of God grows slowly and without great fanfare—but it will eventually envelop the entire earth. This might not happen in our lifetime, but we will still experience it because of the fifth element of the Good News. We will talk about that next time. This entry was posted in alienation, God, Jesus, Kingdom of God, love, The Father, the Good News, witnessing and tagged justice, Luke 17, Matthew 13, mustard seed, peace, reconciliation. Bookmark the permalink. I love the part about motivation. Is love the yeast in the dough? Thanks Michael. I like your question; perhaps love is the yeast–at least love is at work, but I think that even more so it is simply the consistent, individual, and almost invisible action of all the committed citizens of the kingdom. Of course, I am sure the Holy Spirit is quite involved! Hello, Dianna. Sounds like a good plan; read whatever you wish and ask whatever you want. Wonderful description of the Kingdom. Thank you Sheila. I am glad you liked it. Definitely one of your best posts. I have myself been thinking about how two competing views of the “End Times” both get the idea of the Kingdom wrong, and thus cause damage. First would be the Dispensationalist view, which assumes the world is going to hell, Christians will be raptured any day now, and so we can kind of forget about any part of furthering the Kingdom except getting as many people to convert as possible. The other is also (surprise!) popular in fundamentalist circles: the Reconstructionist version of the post-millenialist, in which we are to work toward a political theocracy here on earth, with old testament law as the civil law. Neither is a vision of a hidden kingdom, built on seemingly upside-down values, where the first is last and the last first, and the greatest of all are the invisible servants, doing quiet good while others seek power and prestige. Thanks for the nice words Fiddlrts! You mention two very important harmful beliefs. I plan to write a post in the next few months that will include the dangers of Reconstruction theology to the church and to America. And eventually I plan to write a series on dispensationalism, but it will likely be more than a year from now. One reason I have said little about dispensationalism is that I don’t know how much of an active issue it is today outside of popular rapture fiction and the support of Israel’s oppression of the Palestinians. I was very conversant with the dispensationalism of the 1960s, 70s, and 80s. But I have not kept up with it since then. What do you think? How widespread is it? It’s alive and well in my family! Thanks for the info, Sheila. Thanks for the analysis Fiddlrts. I, too, have assumed that the rise of Reconstruction, and also of the tremendous change in political involvement by the Moral Majority (religious right), put somewhat of a damper on the strong dispensational theme of not being involved in the world because it will all burn up soon anyway. I plan to acquaint myself with current dispensational thought when the time comes, but I appreciate feedback from those such as you, Shelia, and any others that might reply. It gives me perspective. Tim, Several things came to mind through reading your post. The first concerns a mustard seed, because, despite the fact that they are small, mustard seeds can lay dormant in the ground for as much as twenty years (possibly more). I have evidence for up to twenty years, as my Dad told me that, during WW2, they had grown mustard on the farm on which he worked, but only at that time, but mustard plants were still germinating during the 1960s, when he told me about it. The ‘when it grows’ phrase might therefore have significance for some. The second thing is that I feel rather uncomfortable with the idea of a man finding treasure in a field (of which the owner of the field appears to be unaware) then he keeps this knowledge to himself while he effectively buys the treasure (presumably on the cheap, although it costs him all that he owned) by buying the field, thereby denying the original owner any chance of discovering it for himself. It also contradicts what you stated about it being very selfish to keep the kingdom to ourselves. The second parable seems more reasonable, although it too has flaws, since although the merchant presumably also knows that the pearl has great value, someone who is unaware of the value of the Kingdom of Heaven has no idea of its true value to us. Both of the parables have flaws, because it is God who grants us entry into the Kingdom of Heaven and He does not do so by selling it to us. He gives it to us for free, if we can accept it! In regard to sharing the Good News with other people, we would be wasting our time if we did this aimlessly, without God having prepared the way for us. One suspects that is why those who shout out the Good News in the street have little success in bringing others into the Kingdom, while they annoy many people by their actions. Your point about relationships is valid, as it is much easier to get someone to listen to you if they already trust you. Your point about not being too pushy is also relevant, as it would be easy to jump in too soon, before the other person trusts you enough. Excellent comments Chas! I particularly like your insight into the mustard seed. Your discomfort regarding the parables of the hidden treasure and the pearl is understandable, but I don’t think Jesus is teaching little morality stories for us to follow. Instead, he seems to be making one single point–that the kingdom of God is of great value and some people do not recognize it. In a somewhat similar literal way, one might apply the parable of the yeast by saying that we should always prepare dough with 60 pounds of flour. These are only details to make the main point. I haven’t heard from you recently; it is good to have you here again. Very True, as Jesus has rightly pointed out, “the kingdom of God is in your midst”. This is requirement of our life/living. We could from any part of the world, OUR SENSES ARE SAME and which needs SATISFACTION, only the color or size of our requirement may vary, but HIS decision will be FAR better than our decision! As we will never regret. First, We(APPLIES only those who wish to enter His Kingdom) has to accept HIM as one and only “Thee KING” and believe in Him fully, no changing your decisions in between, to SATISFY YOUR SENSES! Second, In HIS kingdom, it is only “THY WILL BE DONE” are the only words we utter! Are you READY to JOIN me, to see the change? As, I am now, in HIS kingdom only! The Reconstruction theology is the same old game of having a God appointed “Messiah” come and rescue us by building a perfect social and political system for us. The same idea existed in Europe through the supposedly God given “Divine Rights of Kings”, It is one of the oldest games known to power hungry people, and also takes our free will away. Why exert any effort to change in order to become a person who contributes to such a better system if it is all going to be set up by laws. Better to just sit back and obey the law! You will save yourself from a lot of inner development work (believe me, it’s hard!) and also a lot of friction with the existing lawmakers who probably have different ideas about what kind of people the system needs. After all, you can trust them, right? They are appointed by God! Jesus totally rejected this idea, first in the temptation in the desert, when the adversary offered Him all of the kingdoms of the world, if He would only bow the knee to him, and once more when the religious powers and even His own disciples demanded that he would have to take on the mantle of the “Messiah”. It asks a lot of hard dedicated work from us, but the rewards are incredible! Living by a standard of love for all is the most life-enriching way you will ever find to live. It is full of Joy and peace that passes understanding! And just wait until you can see what it does for others and how powerful a demonstration of living by that standard can be in this world! It’s easy to be yoked (joined) to that wagon and the burden is light! How fortunate we are to be given the opportunity to be a part of such a movement! And it’s open to anyone who wants to join us, regardless of race, gender preference, religion, politics, or supposed lack of ability and goodness! I would add that as we are diligently engaged in this process, along with other citizens of the kingdom, we are slowly continuing to bring about God’s will on Earth.